Linda Stark is enjoying practicing hypnotherapy as a Certified Clinical Hypnotherapist. She also incorporates coaching when applicable. Linda’s first taste of Hypnotherapy began 30 years ago when she took a class in pain management. She completed her formal training eight years ago and has enjoyed a thriving practice ever since. Linda’s approach is towards short term treatment. The breadth of her experience working in the field of hypnotherapy is extremely varied. Ms. Stark works with tobacco cessation ( cigarette and smokeless ), weight loss, public speaking, anxiety and phobia relief as well as many other issues that interfere with daily living. Meeting with Linda is like getting together with a friend that doesn’t judge you. When a client shares his or her issues, she is able to create an emotional visual picture during hypnosis where the client can actually visualize what life will look like without those issues. The process is calming and relaxing, and leaves the client confident that the new path visualized is already underway. Success comes very rapidly. , and for many years has facilitated women’s groups and conducted parenting classes. 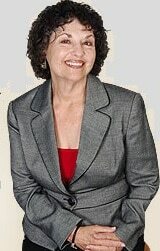 In addition, Linda has been a featured lecturer for many organizations, has been active in helping military servicemen in San Diego handle stress more effectively and eliminate tobacco from their lives, and volunteered her time for three years conducting weekly hypnotherapy group sessions with cancer patients and their caretakers. She encourages everyone to be what they are capable of being. Linda lives her life this way and also helps others with their own road map to successful living. Last updated by Mark Barrus at June 10, 2017 .